Learn about you, your capabilities and resourcefulness, how you process information and influence yourself and others for both personal and professional development. Ros has a wish that you may discover how you can awaken and inspire yourself, to live a life of happiness, mind body health, love and integrity. In this way, understanding the responsibility you have for you, in your life, and the importance of this, your gift. Knowing you and your body, through your senses, and how this influences energy and understanding how this serves you. To be mindful and present in each moment. To accept responsibility for self and to continually learn as you make choices for living and so creating your life. When physical and emotional challenges are recognised as problems and behaviours then exploration leads to insight and individual growth and change. In addition to skills, qualifications and experience in NLP, Hypnotherapy and Counselling, my career in Nursing very much informs my therapeutic approaches to caring and healing. I have developed a holistic approach to Mind Body Awareness, Relaxation, Communication, Health and Healing. I continue Life Long Learning and study with experts both Nationally and Internationally. 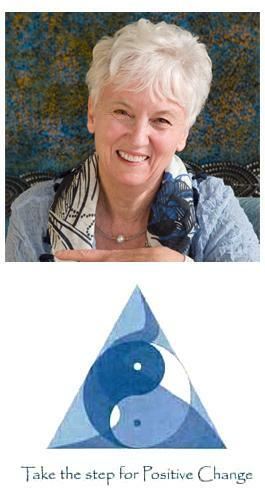 Ros Turnley is an experienced Therapist, and Presenter. She is a Registered Nurse, Hypnotherapist, NLPMP, Counsellor, Mentor and Sponsor who specialises in Self Awareness and Empowerment. Her business, Pathways To Potential, has been established for many years now. She consults with clients and groups and presents at conferences. Ros enjoys introducing and teaching this work to participants in her workshops. Her therapeutic conversations integrate a combination of the most advanced approaches for lasting change and mind body health. Ros has developed an holistic approach within her therapeutic work and this is informed by her passion and experience, continuing study, qualification, and utilisation of these modalities. The focus of this work is for clients to achieve positive change and there are many ways to achieve this, through an understanding of Relaxation, Mind Body Health and Healing. Medical/Surgical Nursing background, Neuro Linguistic Programming, Ericksonian Hypnosis and in particular Generative Trance, the body of work of Dr Stephen Gilligan, she utilises current research in Neuroscience and mind body medicine and guides trance formation, performance and healing. from a range of therapeutic approaches in an innovative style. She has an avid interest in mentoring clients for enhancing confidence for communication, presentation skills, acting and role play. She is a member of an amateur theatre group. Through her study and learning Ros has deepened her understanding of intuition, energetic awareness, spirituality and our mind body connection and importantly, how brain based processes can influence our emotions and health, and the way we live our lives. Ros has also written, recorded and produced a series of Professional Therapeutic CDs for Relaxation. Ros is a Registered Health Care Professional with AHPRA, Member of the Australian College of Nursing Australia and AHA, and is an NHRA registrant. She has a Cert 1V in Training and Assessment.